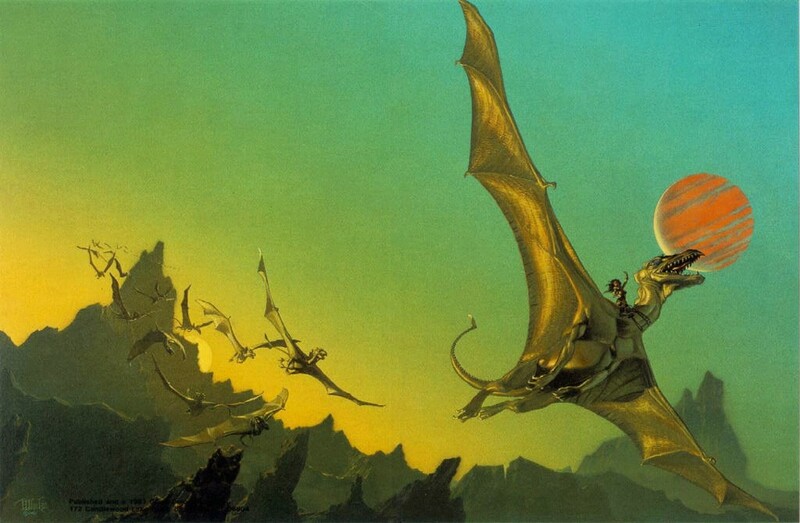 Dragonriders of Pern to Hit the Big Screen! It’s finally happening! Screenwriter David Hayter, who worked on both Watchmen and X2, is currently working to bring Dragonflight, the first book in this beloved series by Anne McCaffrey, to life. Steve Hoban’s Copperheart Entertainment has teamed with Hayter and Benedict Carver’s Dark Hero Studios and Angry Films partners Don Murphy and Susan Montford on the project. Entertainment One is also a partner and has gotten the project off the ground by acquiring distribution in Canada, with talks ongoing to acquire numerous other territories that will include the UK and Australia. Hayter’s sci-fi/fantasy script credits include X-Men and Watchmen, while Murphy and Montford’s work includes Transformers, At the Mountains of Madness and the upcoming Shawn Levy-directed Hugh Jackman starrer Real Steel. It was Hayter and Carver who brought in Entertainment One’s Patrice Theroux. Hoban said that the conceptual art has been generated and Hayter should have a script later this year. The plan is to get the flying dragons off the ground by next year. I, for one, am extremely excited at the idea of seeing these books on the big screen. With CGI as developed as it is, I know the dragons will be amazing. We can only hope that they will do it the justice it deserves. What do you think? Do you think this is a good idea, or is the prospect of ruining a beloved series too strong?